In a television commercial, Bollywood actress Deepika Padukone talks about how she manages to pursue two passions - acting and badminton - at the same time despite naysayers who believe it is impossible. Later, she introduces the HP Slate6 VoiceTab and says it does something similar by performing the functions of both a smartphone and a tablet. One might find the commercial cheesy but we find the communication effective. HP's marketing spiel wants us to believe that they are pioneering a new device category, but of course HP isn't the first OEM to introduce a six-inch phablet. Nearly every manufacturer today has aspirations of tapping into a market craving for big-screened smartphones. Revolutionary or not, this oddly-sized device faces tough competition in its price range. A full review might help quash doubts about how the VoiceTab fares against heavyweights in this category. The ergonomic tradeoff of a six-inch device is always a point of contention for prospective buyers. The Slate6 has a thin bezel, which works to its advantage. 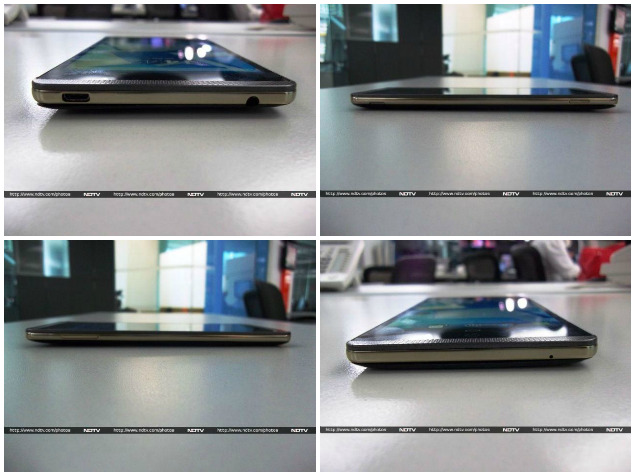 The Slate6 is also strikingly thin at 8.98mm. But the device isn't exactly what you'd call pocket friendly, and you'll need to use both hands for most basic tasks. 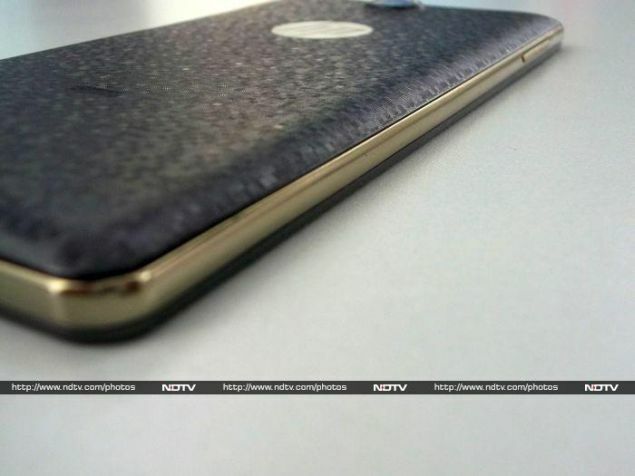 The rear cover is made of plastic and has a mosaic design. The HP logo sits right below the 5MP camera and flash on the rear. The name of the device - Slate6 - is so subtle against the mosaic print that it feels as though HP doesn't want us to read it. The device doesn't provide a firm grip and is somewhat slippery. 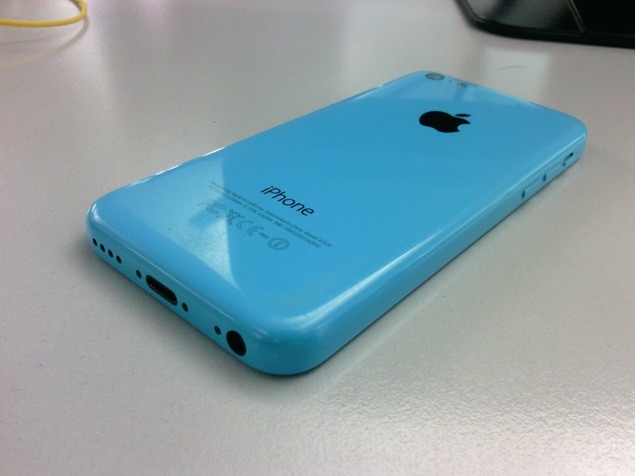 The mechanism that is used to open the rear cover is similar to Samsung's smartphones. Once open, we can see a huge 3000mAh battery, a slot for the memory card, and two SIM card slots; one mini and one micro. The rather grey and somber front of the Slate6 has the six-inch screen with onscreen buttons made popular by the Galaxy Nexus and Android 4.0 ICS. Right above the screen is a front-facing camera and the proximity sensor. Also flanking the top and bottom of the LCD are front-facing speakers. The bottom seems bare, until you notice a miniscule hole for the microphone. The top has space for a 3.5mm jack and a Micro-USB port for charging and data transfer. A rather unusual dull gold trim runs around the edge of the device. The left and right edges house the volume rocker and power button respectively. HP's Slate6 is definitely a looker and managed to grab attention with its flashy rear cover, but its size might put a few people off. Moreover, the device flexes at the slightest pressure, which doesn't bode well for its construction quality. It is always advisable to keep expectations in check with a mid-range device. Unfortunately for OEMs today, the price-to-performance ratio of devices like the Moto G leads users to expect the moon from any device priced above Rs. 15,000. The Slate6 features a Marvell PXA1088 quad-core processor clocked at 1.2 GHz and a Vivante GC1000 GPU (also found in the Samsung Galaxy Tab 3). For storage, the Slate6 offers 16GB of internal storage and support for microSD cards up to 32GB in capacity. Additionally, HP bundles 25GB of online storage from Box.com, which is valid for life. 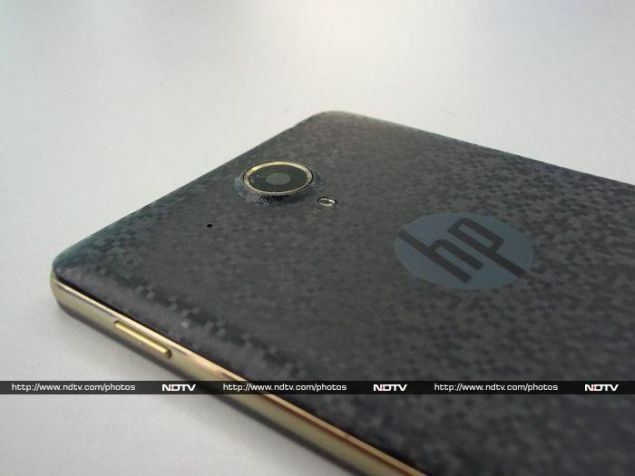 HP has fitted the Slate6 with a 5MP rear camera with flash, and the front-facing one is a 2MP unit. Both cameras are capable of recording video at 720p resolution. Both SIM cards on the Slate6 can connect to 2G networks on the 850/900/1800/1900 bands. There is no LTE connectivity but HP provides 3G for high-speed internet connectivity. We were slightly disappointed by the older Bluetooth 3.0 specification. There are a few sensors, including an accelerometer, gyro, proximity sensor, and compass. The HP Slate6's screen is a 720p panel. This means the pixel density is around 245ppi. Even at maximum brightness, the screen is dull. There is a perceptible yellow tinge to the whites, which is especially obvious when browsing web pages. The viewing angles are below par as the screen dims the moment you hold it at an angle of more than 45 degrees. We are fans of vanilla Android, and any device without unnecessary customisation will provide a smooth experience. Most OEMs that fork Android to add their own customisation layer tend to make it either ugly or bloated. We have to give HP brownie points for not fiddling with Android, but the fact that it's the older version 4.2 Jellybean on the Slate6 is also disappointing. When HP launched this phone in the market initially, there were a few performance issues which have since been rectified with a software update. We downloaded it and it worked. For the most part, the operating system is smooth except when opening apps. 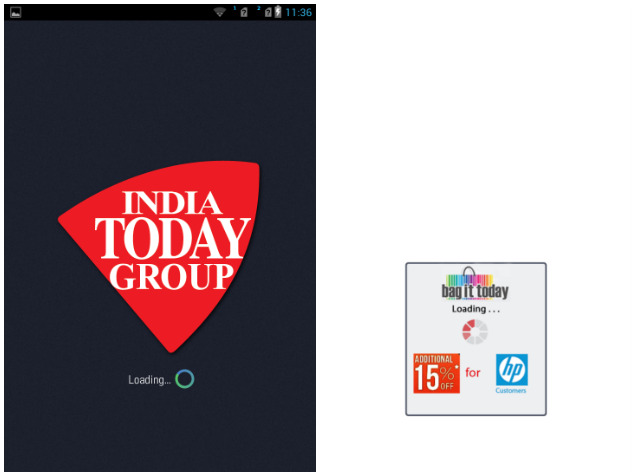 For people interested in this device, there are a few perks that HP bundles in the form of exclusive offers, such as a free three-month India Today subscription, travel vouchers worth Rs. 5,100 on MakeMyTrip, and a 15 percent discount on in-app purchases made using the Bag It Today app. HP also bundles the Kingsoft Office suite with the Slate6, which is definitely a useful addition. 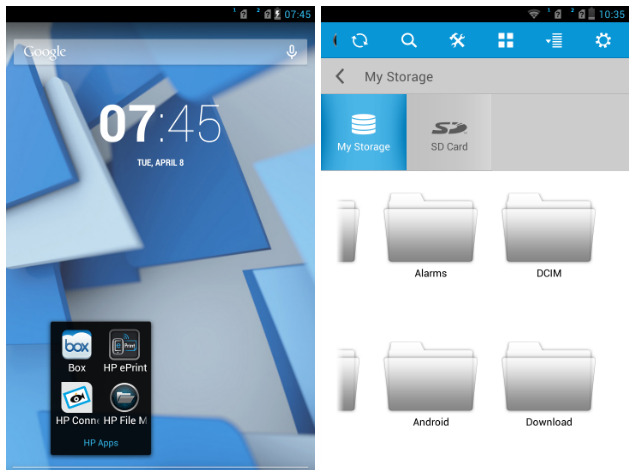 The Slate6 also features a few additional HP apps, such as HP Connected Music, HP e-Print, HP Connected Photo and HP File Manager. We tried HP File Manager a couple of times but it was sluggish almost to the point of being unusable, thanks to an unnecessarily flashy interface. There is no special camera app bundled with the Slate6. The default Android app is barebones with respect to features, but it works. 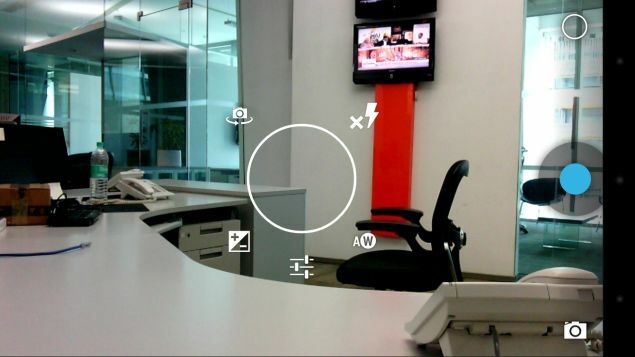 The performance of the 5MP camera indoors was a pleasant surprise. We were happy to see photographs came out with neutral colours that weren't overblown. The situation takes an odd turn when we tried it out in daylight. The green leaves in our daylight shots merged into each other, leading to a loss of detail in some photographs. Low-light performance was below par and unusable. Also, the camera seems to have an issue focusing on the right area. Videos are saved in 3gp format. Despite being recorded at 720p, videos are almost unusable. There is a very evident colour spill in moving objects, and the level of detail captured isn't great either. The 2MP front camera only works decently under good light. Overall, the cameras are a mixed bag. 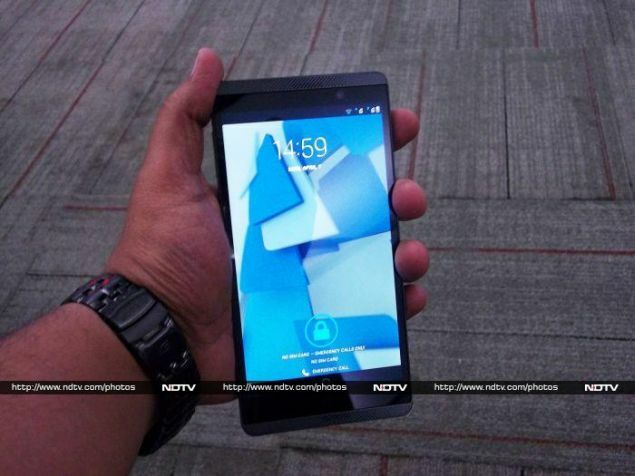 Most Android devices these days boast of at least a quad-core processor. However, that's no guarantee of performance. In day-to-day usage, the Marvell processor inside the Slate6 felt sluggish while opening apps. Our benchmark results corroborated this impression. AnTuTu returned a score of 11,207 while the Slate6 scored a low 3,534 overall in our Quadrant benchmark. Devices priced much lower perform better. HP's choice of processor is the culprit. Moreover, the Vivante GC1000 is a non-performer. Don't expect the Slate6 to run any graphically intensive games. The GFXbench score was an abysmal 5.1fps. In fact, we ran it thrice just to confirm the results. Adding to our woes was the below average 3DMark score of 3,054. Browser tests didn't fare any better - the SunSpider score was 1,686ms and Browsermark 2.0 returned a score of 1,927. 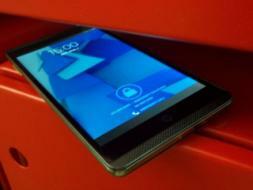 Surprisingly, HP pulls a rabbit out of the hat with the Slate6's video performance. 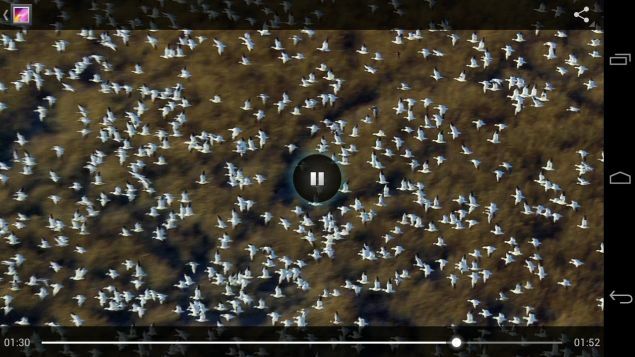 To our complete surprise, the default video player played all the files we threw at it without any artefacting or skipping frames. This includes our heaviest 1080p video encoded at 40mbps. It doesn't play .avi files out of the box. The chinks in the armor are the dual front-facing speakers, which are soft and not very clear. HP doesn't bundle earphones with the Slate6. We used our own reference headset and were generally impressed with the quality of audio. The 3,000mAh battery under the hood lasted for 6 hours, 33 minutes in our continuous video loop test. This is a mediocre result, and users will need to charge the device at least once a day. Proponents of big-screen devices - a large majority today - always argue that watching videos is a great experience and typing on a larger keyboard is easier. We find it difficult to recommend this device even to them. Yes, it plays most video formats out of the box, but so will the Sony Xperia T2 Ultra and the Gionee Elife E7. 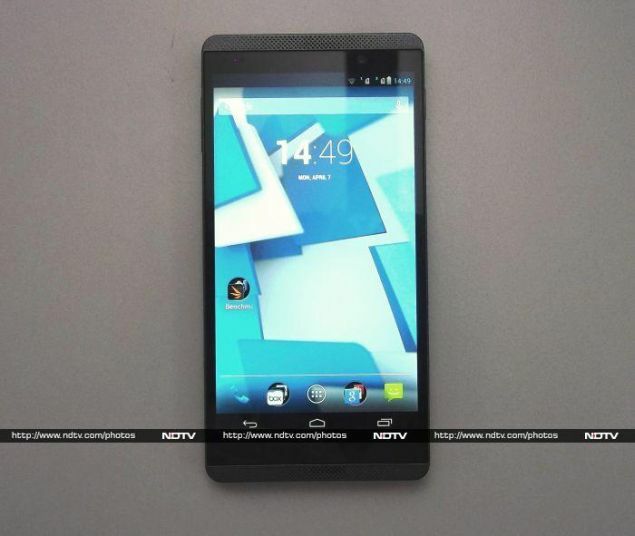 The latter has a 5.5-inch screen and is a powerhouse device packing a top end Snapdragon 800 under its hood. 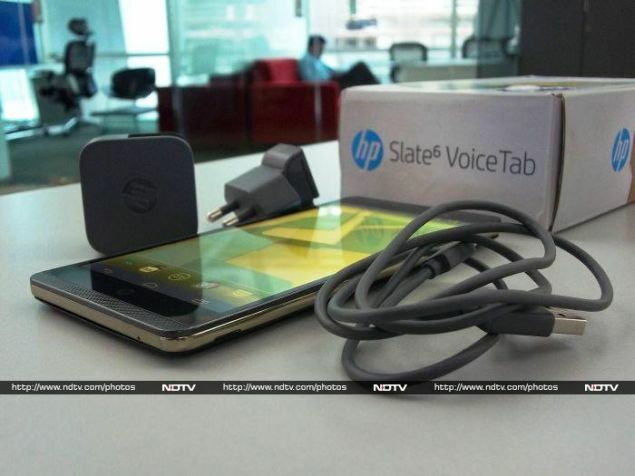 Considering the competition, quite frankly, you can easily give the HP Slate6 VoiceTab a miss. And no amount of insistence by Ms. Padukone can change that fact.